Coconut Tempura Sweet Potato Fries with Curry Aioli, frozen sweet potato fries, dipped in a light and crispy tempura batter and served with an amazing aioli sauce. Eating better lately has really gotten me thinking about switching out classic fast food sides with a healthier alternative. Even when I want to indulge, using all-natural ingredients makes me feel better about my food choices. 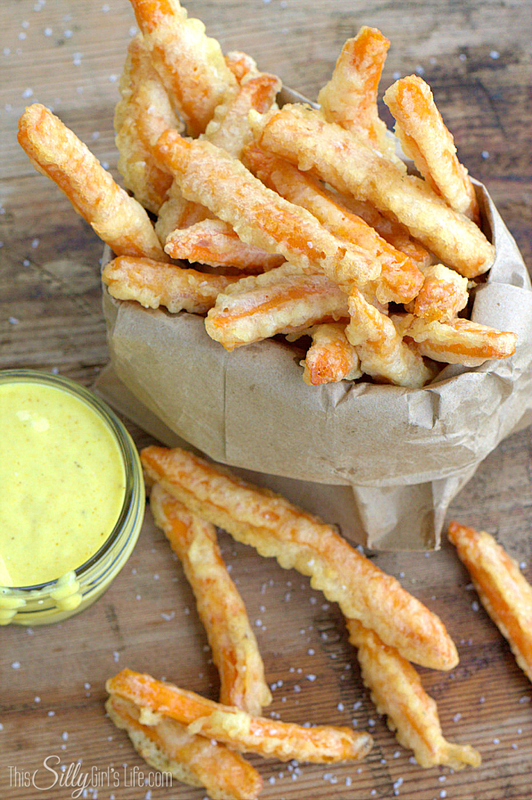 In steps today’s recipe for Coconut Tempura Sweet Potato Fries! 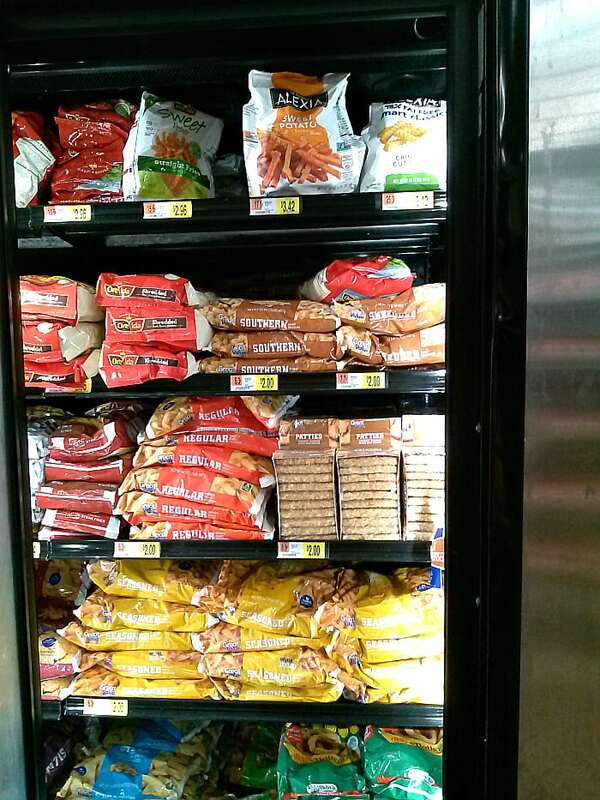 I saw these sweet potato fries with sea salt by Alexia on my weekly run to Walmart. I noticed they use all natural ingredients so I snatched up a bag and knew right away I wanted to make a yummy tempura side dish with them! Yes, I did fry these but it is all about moderation and using sweet potatoes, they are a much healthier alternative than regular potatoes. 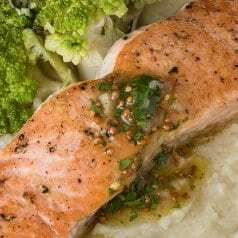 I paired them with a homemade aioli sauce as well, again I knew everything that was going into it and was confident I was making a healthier choice. 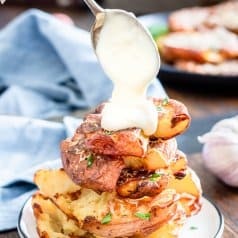 Don’t get me wrong, these fries would be amazing as is and baked, but you know me, I always have to come up with an extra yummy recipe! I can’t wait to try the other varieties they have like Spicy Sweet Potato Fries, Rosemary and Sea Salt Fries and one of my biggest weaknesses… Crispy Onion Rings! In a heavy bottom pot, heat oil for frying, about 3 inches up the side of the pot, over medium heat. While oil is heating, make the batter by placing the flour and coconut in a medium sized bowl. Whisk together. In a small bowl, place the egg and lightly beat it, add in the ice water and whisk to combine. Pour wet mixture into dry mixture and stir together until batter forms, but don't over mix. If there are a few small lumps that's okay. When oil is ready, you will know by placing one drop of the batter into the oil, if it fall to the bottom and them immediately rises to the top and starts bubbling around it is ready. 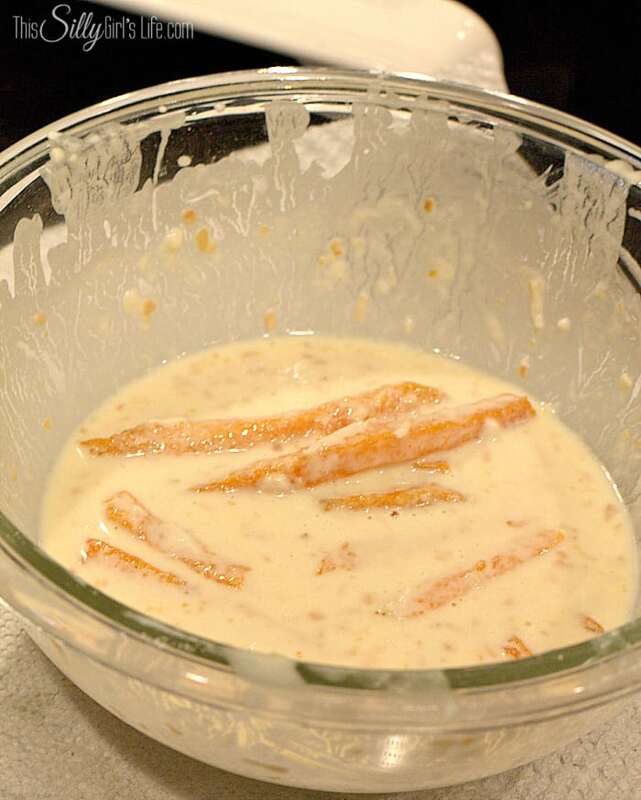 Taking about a handful of the sweet potato fries, drop them into the tempura batter and mix to coat. 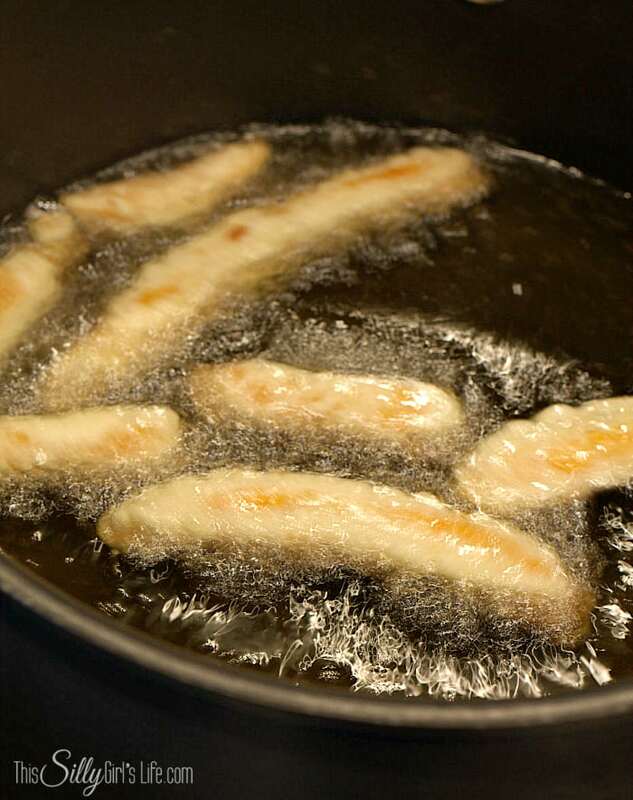 Taking the fries one at a time, shake off any excess batter and gently place into the hot oil. Continue until there is about 10 pieces of sweet potatoes in the oil, you do not want to crowd the pan. They are done when the outside is crispy and extremely light golden brown. Remove from pot with tongs and let excess oil drain off by placing a wired rack over a baking dish. Immediately sprinkles fries with a little bit of kosher salt and repeat the process until all the fries are done. In a small bowl, mix the two oils together, set aside. In a separate medium sized bowl, add in the egg yolk, lemon juice and dijon mustard. Whisk to combine. Slowly add in the oil mixture in a stream, whisking vigorously. Mixture should not separate. If it does, stop adding oil and whisk until emulsified. Add in all the oil and then the remaining ingredients. 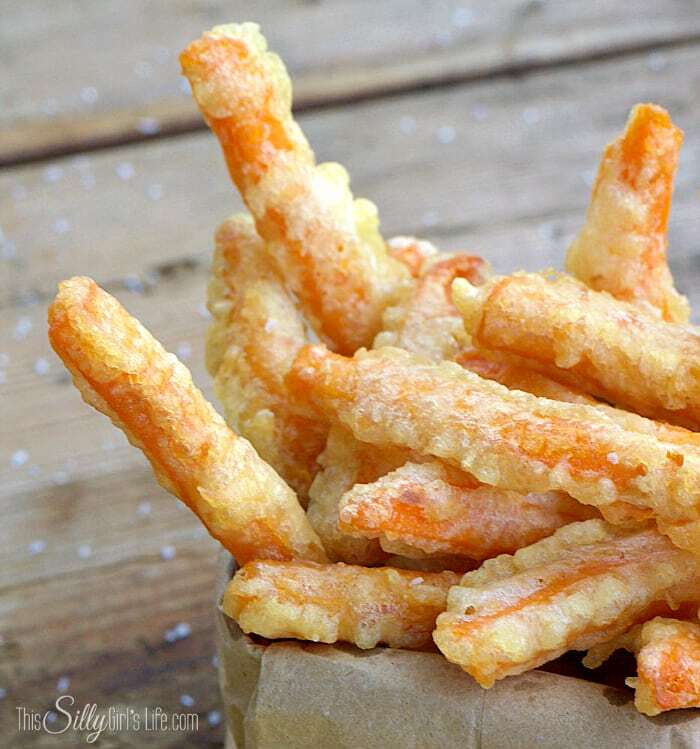 Chill and serve with the sweet potato fries. Best to make this condiment first. YUM, I know the recipe looks a touch complicated, but it’s not! Extremely easy. And, yes the aioli has a raw egg yolk in it, if you don’t feel comfortable eating that, I suggest using a mayonnaise base instead. Take 1/2 Cup of mayonnaise add in the same amount of garlic, lemon, dijon, curry, salt and pepper. But, believe me, this version is amazing! I truly love the flavor combination here. The aioli is strongly flavored with garlic and the curry plays so nicely with the sweet potato fries and hint of coconut. Just drizzle the aioli over the fries and it is truly an amazing side dish! I really hope you loved this recipe! I think it is especially fitting for the spring. What are you favorite recipes using sweet potatoes that would be good this time of year?! I’d love to hear about it in the comments below! 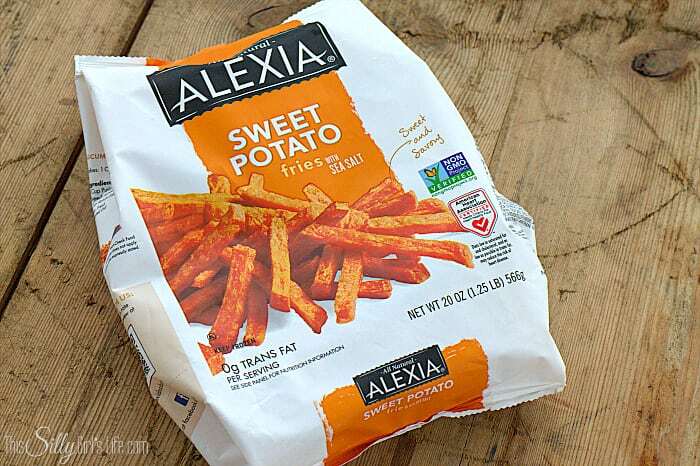 Don’t forget to try these Alexia Sweet Potato Fries with Sea Salt or the other varieties! Hi! Visiting from Wake Up Wednesday. Just the name alone sounds so yummy! Pinning! I’m not a big curry person, but those fries look AMAZING! 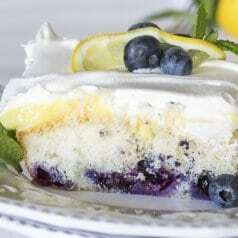 Great recipe, and great photography! THANKS! The curry flavor for this sauce is extremely subtle, you could just leave it out as well. Then it would be a traditional aioli, yum! I’m a huge sweet potato fries fan. These look SO good!! I have never had coconut tempura, but I can’t wait to try it! Goodness gracious, those look good! This recipe came in such a good time! I have so many sweet potatoes at home I don’t know what to with them! I’m definitely trying this one! Thank you! Did you make it with fresh sweet potatoes? I want to try this but I am on Whole30 and can’t have some of the ingredients in the frozen fries. I made them with the frozen fries. You can make them with fresh if you prefer. 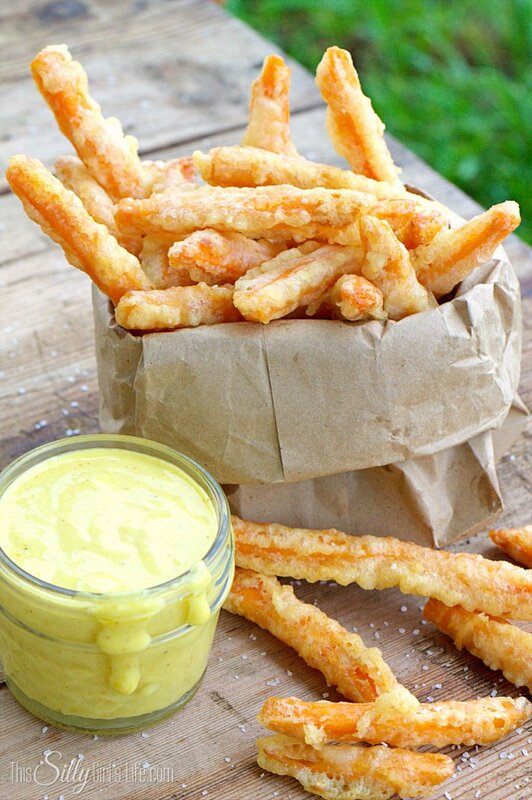 These fries look absolutely amazing! Thanks so much for sharing your yummy recipe on the Monday Funday Party!